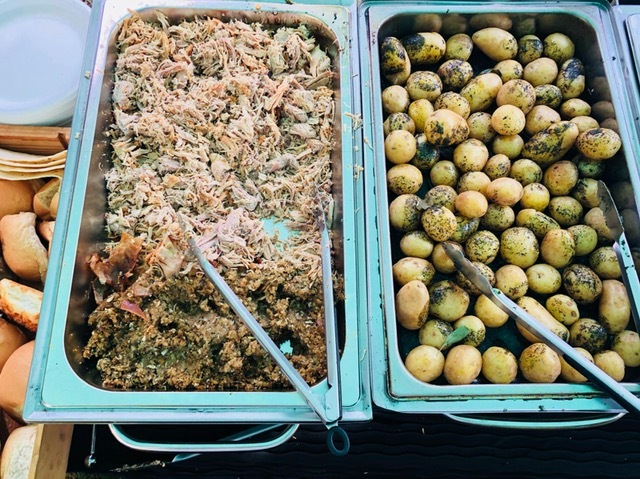 If you are in need for some superior mobile catering for an event you are hosting in Spean Bridge, look no further than the Hog Roast Spean Bridge team. We have the versatility and experience to cater for any event in the area known as the ‘crossroads of the Highlands’ and we can provide you with great food in any location. With us at the helm, you won’t have to worry about a single thing because we will take care of everything, leaving you and your guests free to relax and enjoy the view across to Ben Nevis whilst we treat you to a freshy-prepared feast in the location of your choice. Our varied menus and versatile approach allow us to cater for all manner of events with equal success, from sophisticated wedding receptions to company team building days in the great outdoors. We can easily adapt to environment, whilst always adhering to our stringent standards of food and service. When it comes to event catering, Hog Roast Spean Bridge can meet your needs on every level. We have an abundance of options to please all palettes, and depending on which menu you opt for, you can have a choice of two delicious slow-roasted meats, as well as a variety of vegetarian dishes across all of our mains, starters and canape options. We always make everything from scratch at your venue regardless of the location, using the finest locally-sourced ingredients. Our adaptable chefs and streamlined cooking equipment enable us to access any indoor or outdoor venue and produce large, freshly-prepared feasts for any number of guests, without us ever having to rely on help from third parties. We also have our own dedicated events team who can provide highly professional front of house and table service if you are hosting a more formal event and would prefer a drinks reception with canapes and a sit-down 3 course meal, rather than a buffet. If you want complete flexibility when it comes to both the food and service, not to mention freshly-prepared restaurant standard food in the location of your choice, Hog Roast Spean Bridge can give you everything you want and more for your big day.